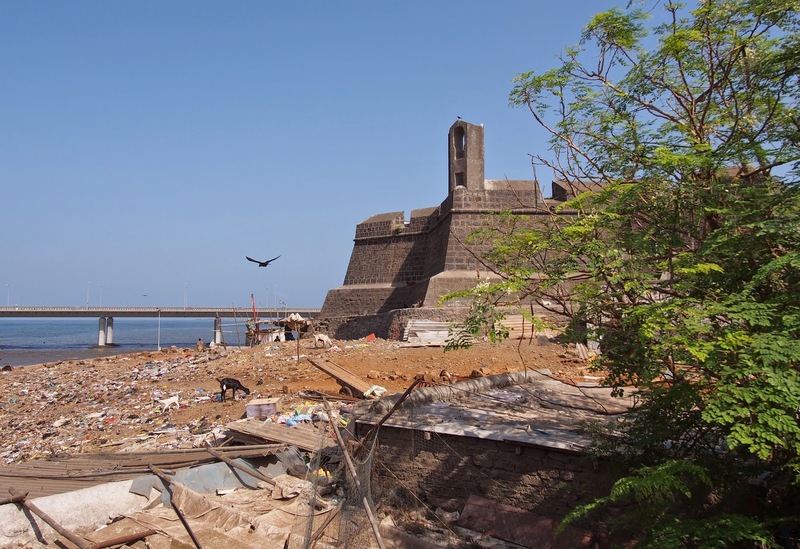 India: Worli Koliwada and Worli Fort, a fishing village obscured by the city's only highway. A 17th century British fort and an indigenous fishing village at the tip of a little-explored peninsula. 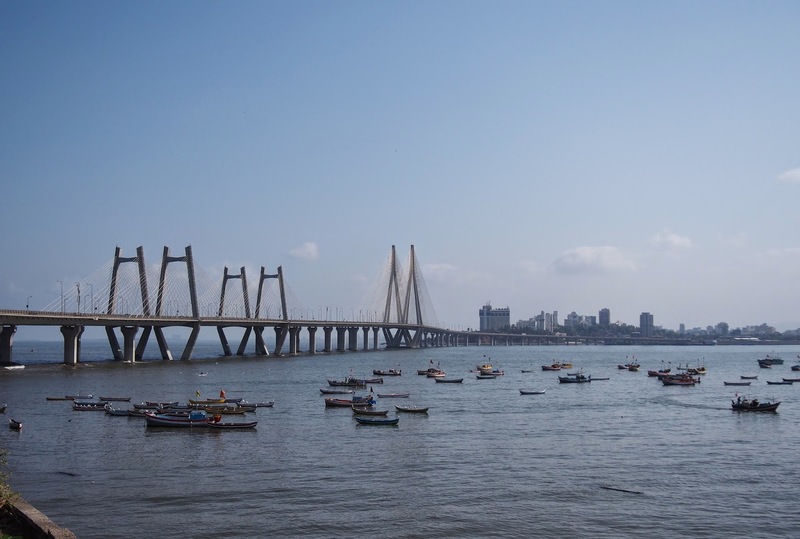 Until the opening of the Bandra Worli Sealink, few people were aware of the Worli fort. Now 1000s of cars zip by with a clear view of the fort, but few people have seen the fort up close. 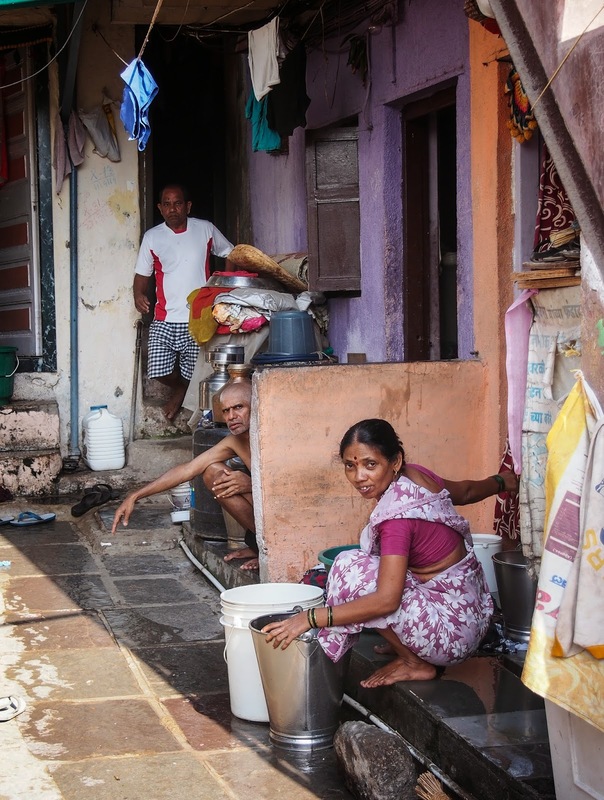 It's located in the heart of Koliwada, an aboriginal fishing village of narrow lanes and crowded houses. The tip of Worli peninsula, in the Western Suburbs of Bombay. Map. TO UNDERSTAND WHAT makes this fort and the village special, it pays to have a look at a map. 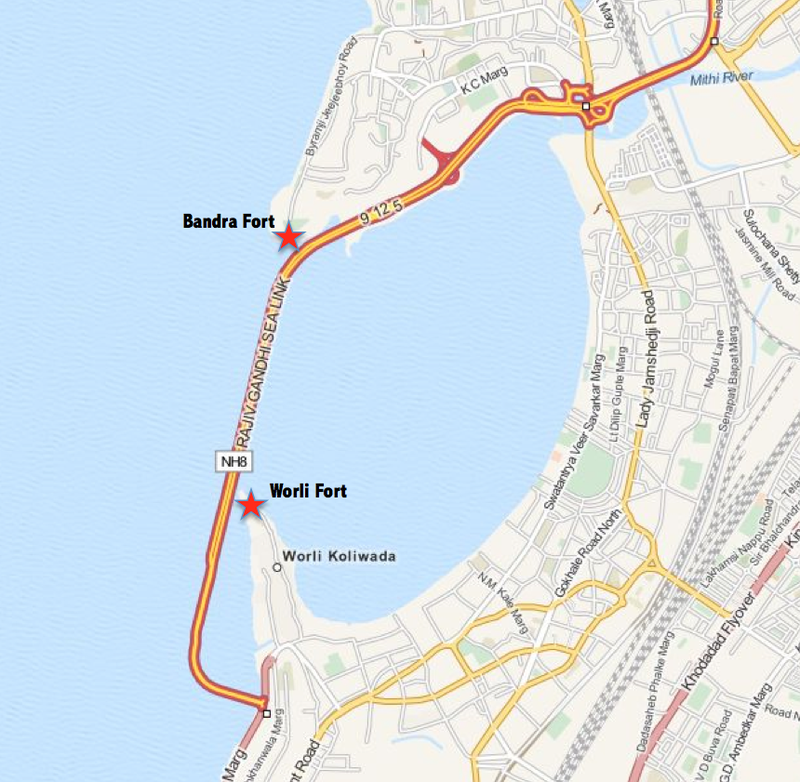 This is a map of Mahim Bay, in central Bombay. 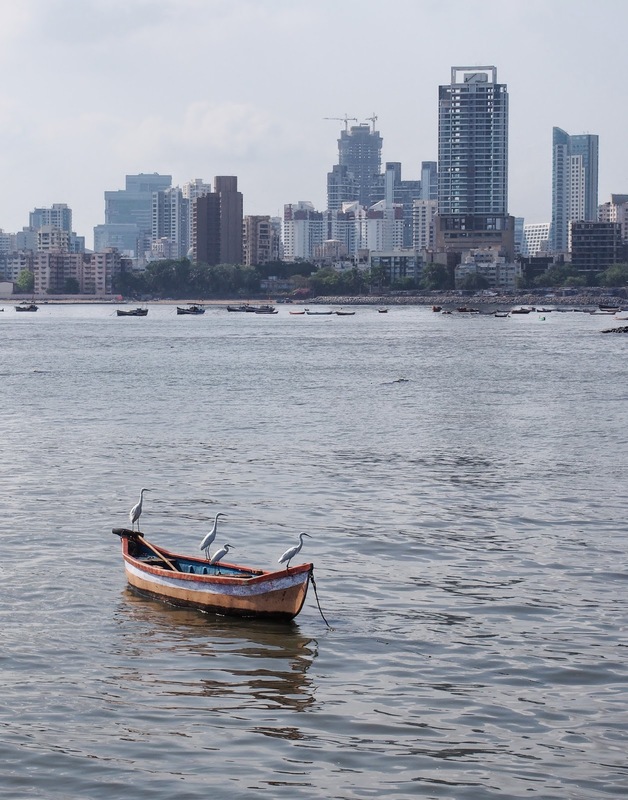 South of the Bay sits historical Bombay, including the district of Worli, whose northern peninsula juts into the Arabian Sea to close off part of the bay. North of the bay is Bandra, one of Bombay's Western Suburbs. 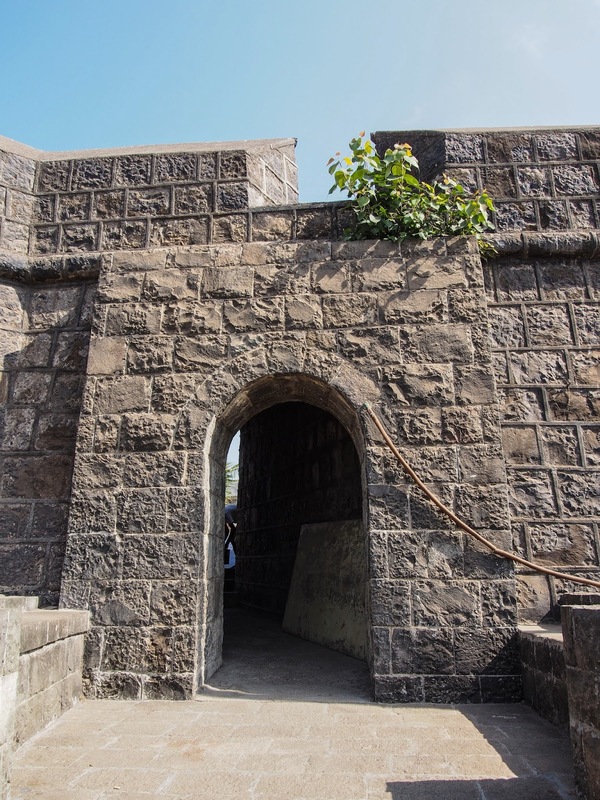 In 1675, the British built a small fort on the tip of the Worli peninsula, to control access into the bay. Incidentally, the Portuguese did the same on Bandra peninsula (which remained Portuguese territory after the British took control of Bombay), on the other side of the water. You can imagine the two colonial powers leering at each other across the water. Both forts were mostly forgotten as, unless you were on a boat, you were unlikely to see them. This changed when the Bandra-Worli Sealink (NH8 on the map) was opened in 2009. Suddenly 1000s of cars zip past every day, and get an undisturbed view of Worli fort in particular. Interestingly enough, the Sea Link makes landfall well beyond the Worli peninsula, running parallel to it. 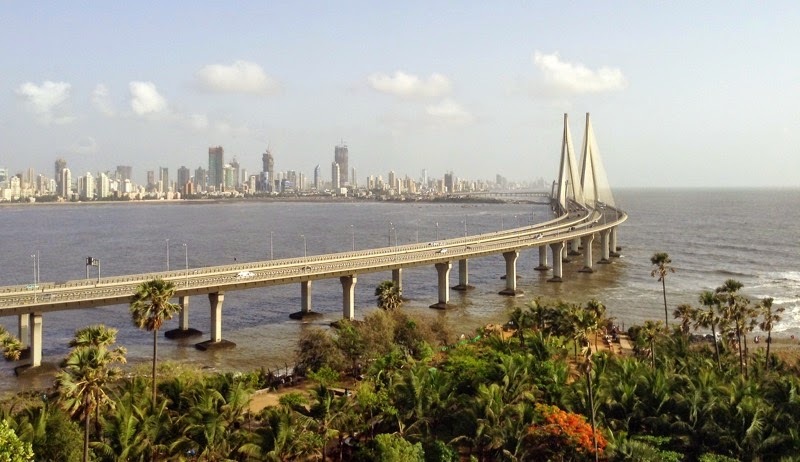 When the Sea Link was built, they could have saved billions of rupees by having it land at the Worli peninsula. Instead, the Sea Link goes around it. 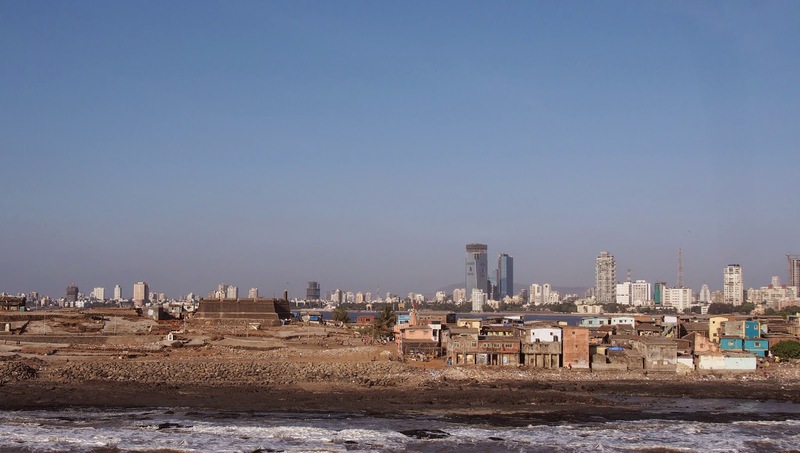 Seen from Bandra, this is Worli, with the Sea Link on the right, and Worli Koliwada, with the fort, is the low (dark) area in front of the many high-rises. The Sealink curves around it. 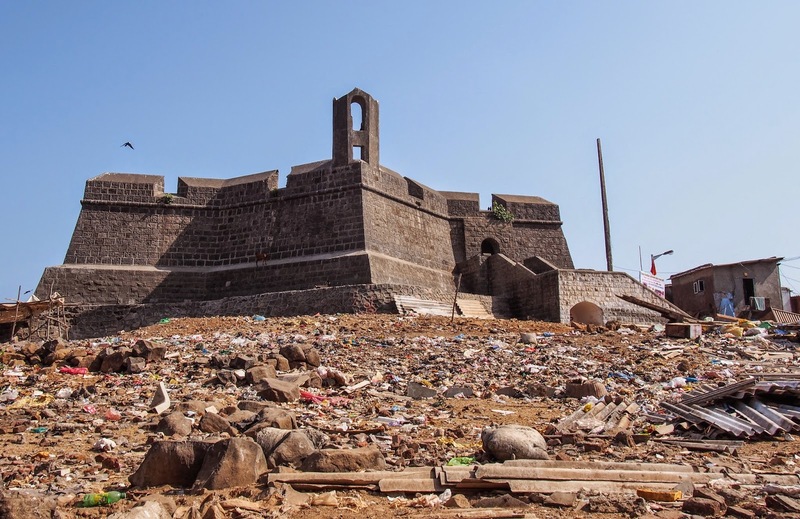 My understanding is that this is because the fort is a protected historical site and the Koli fishing community (who are seen as the original inhabitants of Bombay) have something similar to aboriginal status so their land is protected. 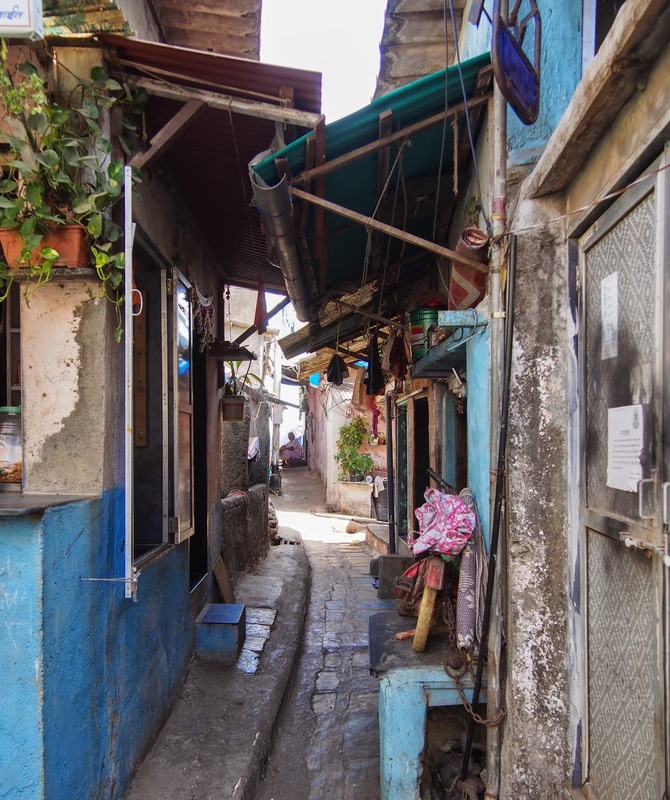 So the area around Worli Fort (known as Worli Koliwada) remains as it was: a fishing village of small houses and huts, a slum really, and is rarely visited by outsiders. So let's have a look at the Fort and its neighbours. 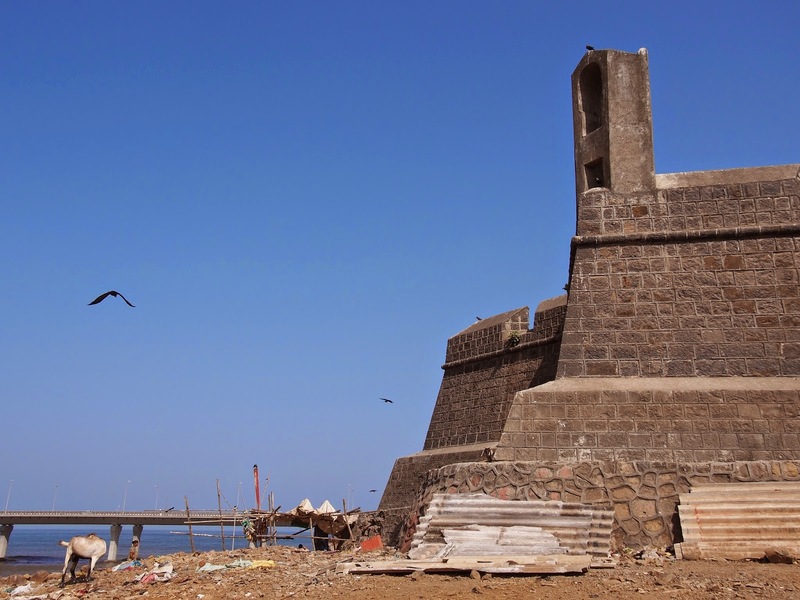 As you drive on the Sea Link, you get a good view of the fort, as well as the Worli Koliwada settlement. 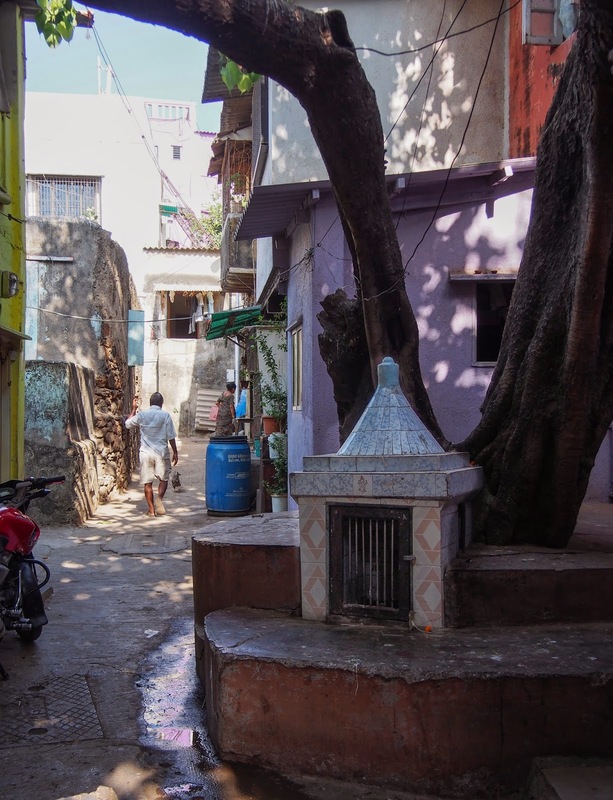 A small hindu shrine in one of the alleyways. A great way to see people go about their daily lives- you can peek into houses and kitchens, and many activities take place in the open. Many houses have these boards blocking the lower part of the door- to keep kids in, and vermin out. 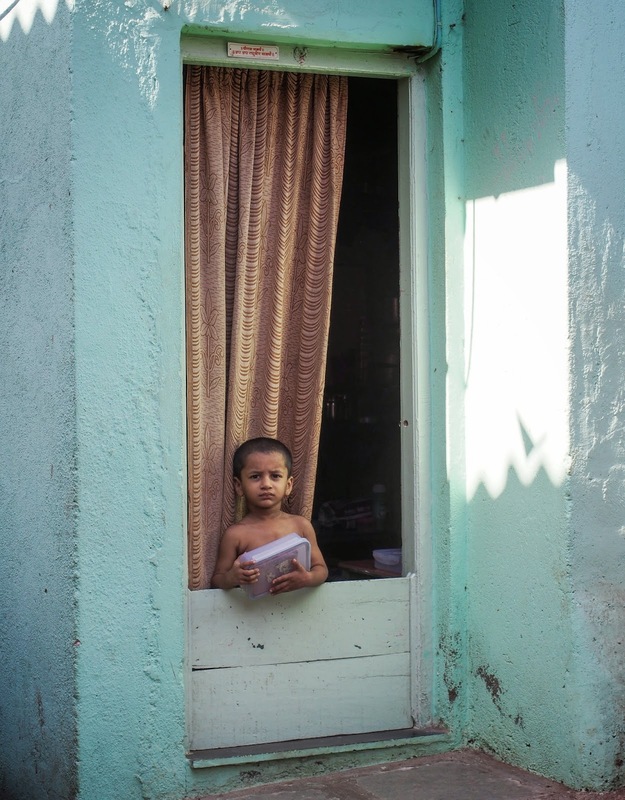 The Kolis are the original inhabitants of Bombay. 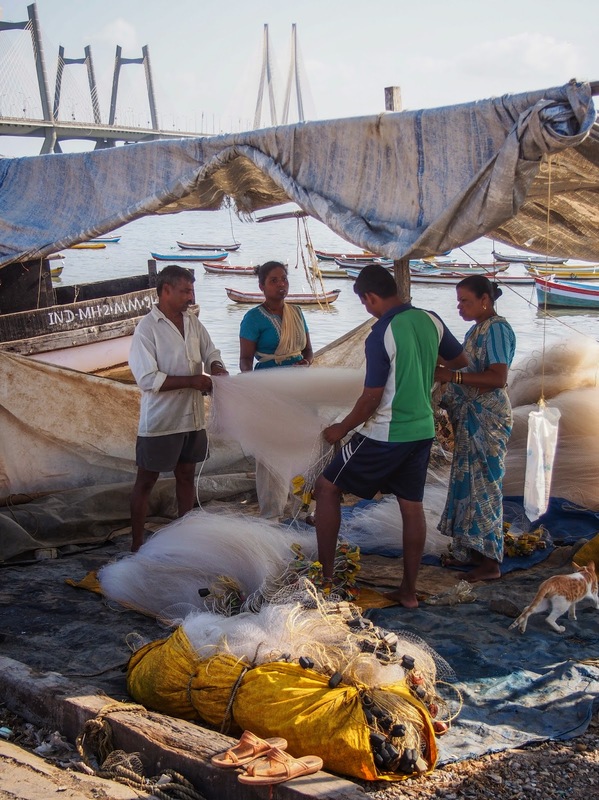 They are fisherfolk, and Koliwada simply means 'habitat of the Kolis'. The Kolis still fish, and as you walk around Worli Koliwada you will see (and smell) the signs everywhere. 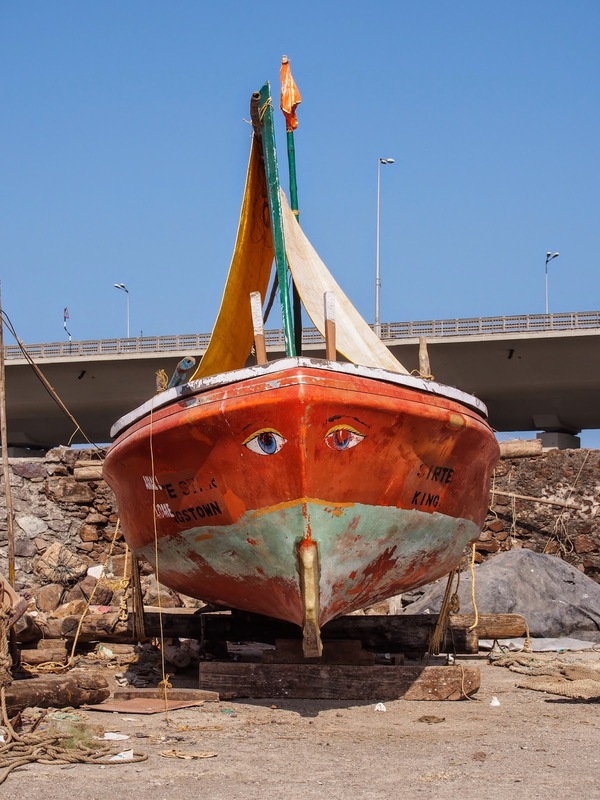 Their boats are brightly coloured and can be seen on all sides of the peninsula. Many Kolis are Hindu. Others are Christian. There are lots of birds around- mostly egrets as well as crows. They feed on drying fish and shrimp, as well as fish that have been discarded by the fishermen. 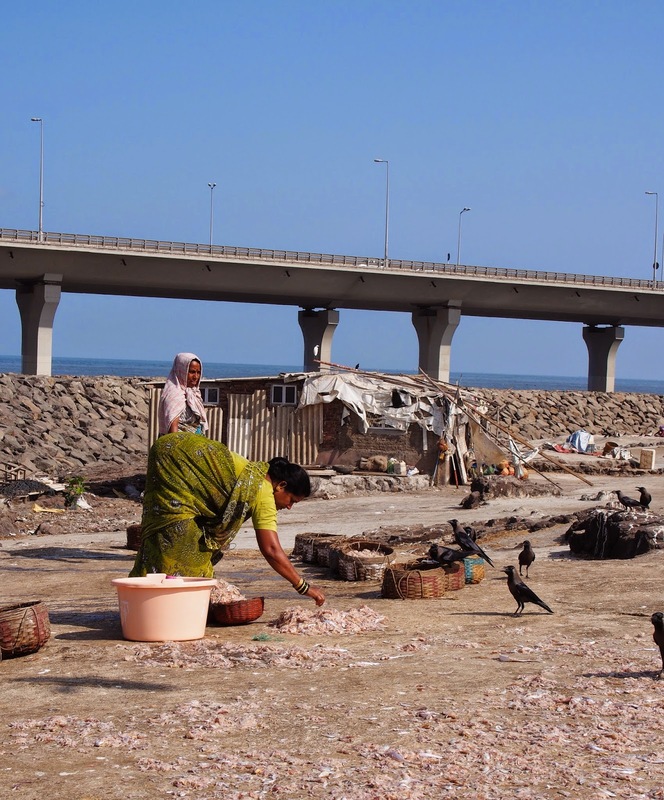 The birds seem to like the arrangement- the Koli women put the shrimp out to dry and the birds take their pick. As you approach the fort, you notice it is rather small. It must have been more of a listening post rather than a real base. It's in excellent condition- it was renovated a few years ago and looks pristine- perhaps a little too pristine? There are no decorations or signs, except for a bell tower (which stands now empty). But the gate (on the right)is open and you can enter freely. Although the fort itself is well taken care of, the area around is is strewn with litter. The entrance is in excellent condition, but without any identifying marks. The courtyard inside the fort is surprisingly clean and well-maintained. 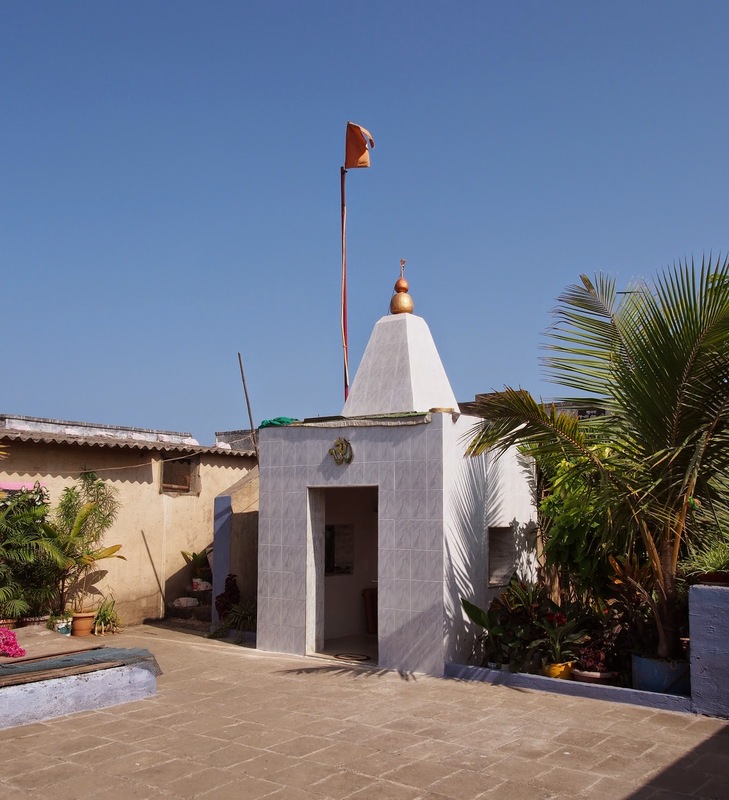 There is a brand new Hindu shrine and a small garden. A small staircase behind the shrine brings you up to the ramparts. There is also a small community center which appears to be used as a gym(!). You can walk around the whole fort along the ramparts. As you can see, the courtyard is really rather small. 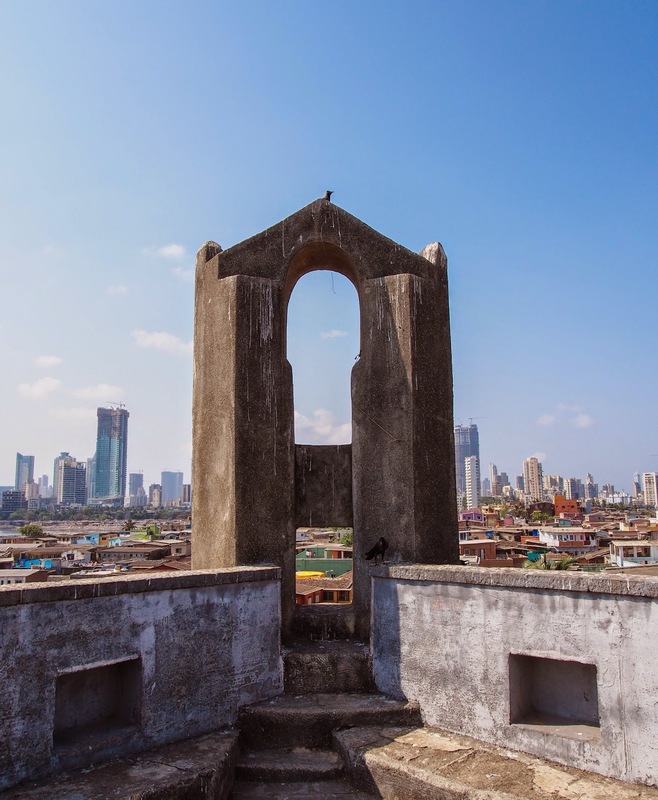 From the ramparts you have a clear view of both Mahim Bay and Bandra as well as Worli with its high-rises. 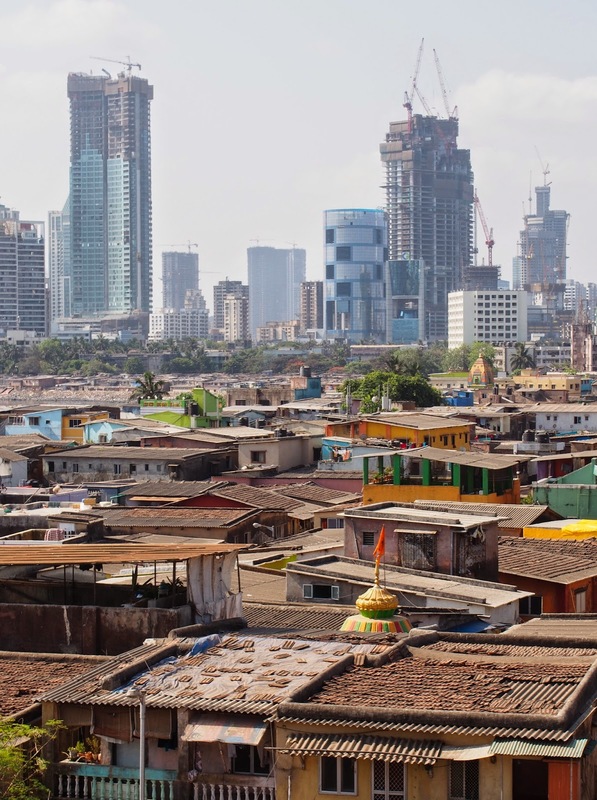 The contrast between Worli Koliwada and the rest of Worli is striking. 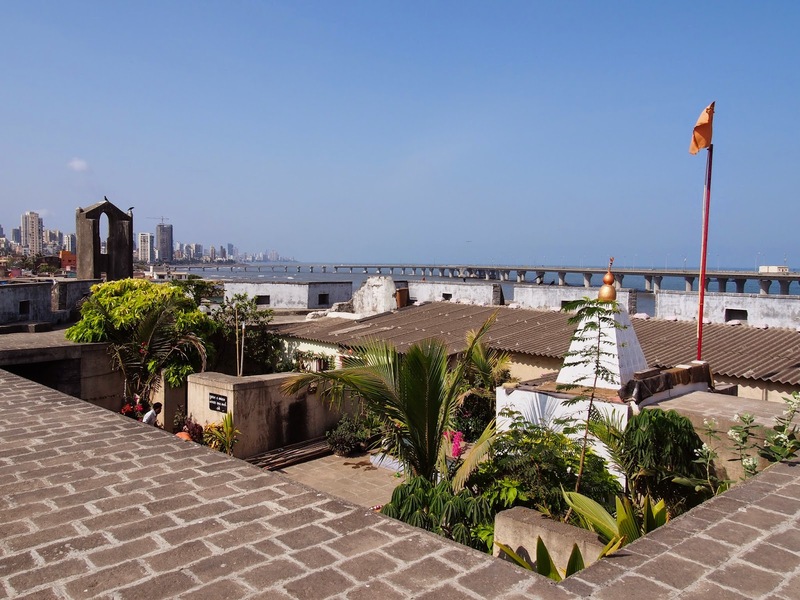 The fort offers excellent views of the Sea Link and the Bandra skyline. The Bandra fort is on the other side, hidden behind the Sea Link. 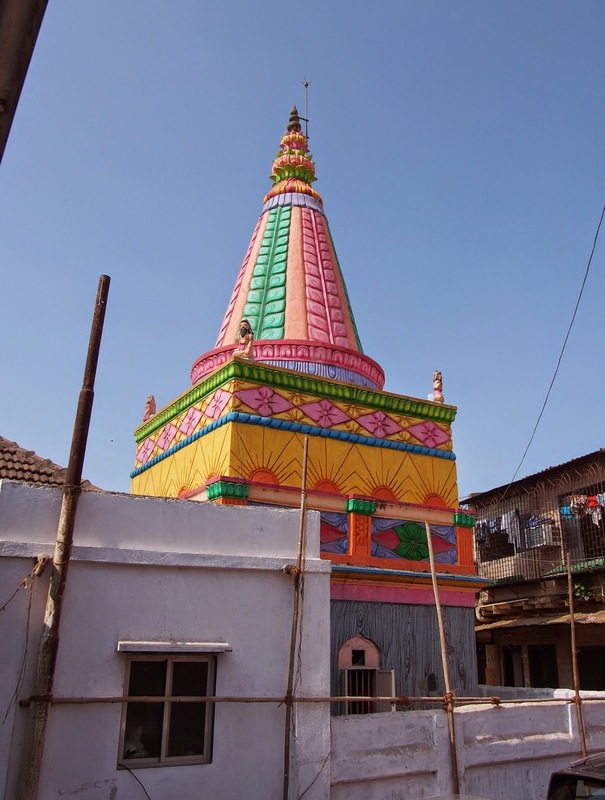 Many of the Kolis are Hindu, and there are some colourful Hindu temples around Koliwada. 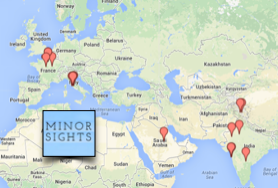 However, there is also a sizeable Christian community. 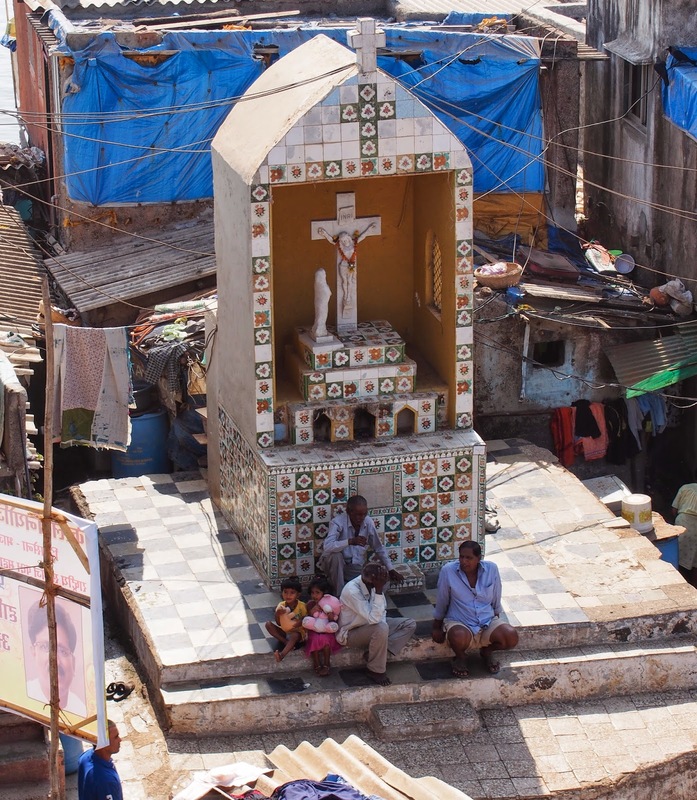 A large crucifix right next to the fort provides some much-needed shade. One of many colourful Hindu temples. A taxi or car can drop you off at Prabhadevi New Rd, at the beginning of the peninsula. From there it's best to walk- there are two main paths and you can't really get lost. The area is safe. Just beware of the motorbikes!